On Wednesday, I led a cross-party Brexit delegation to meet with Michel Barnier. 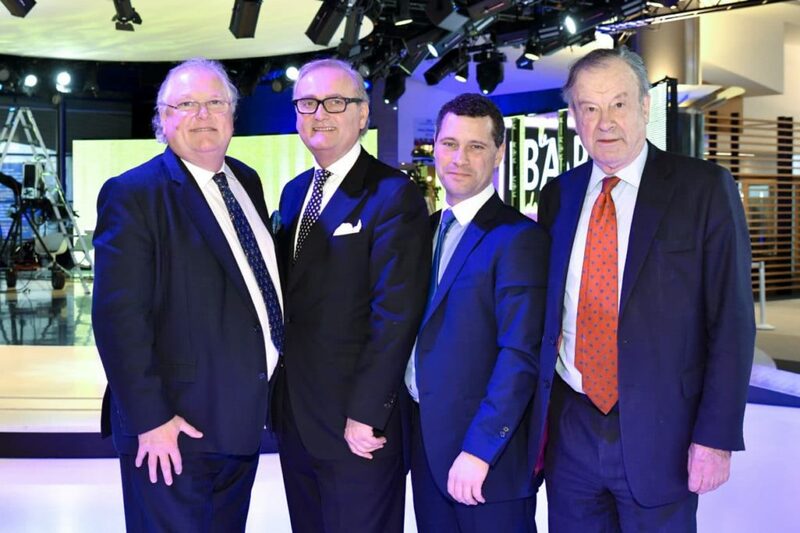 The delegation included former Director General of the CBI Lord Digby Jones; Labour Party donor and Chairman of Labour Leave John Mills, and former Director General of the British Chambers of Commerce and co-Chair of Leave Means Leave John Longworth. Throughout 2017, I watched as a slew of ultra-remainer politicians met with Mr Barnier. I was deeply concerned that those who Digby Jones called the ‘ABC clan’ (Adonis, Blair and Clegg) were calling for Brexit to be reversed, and this was all bureaucrats in Brussels were hearing. I wanted to speak with Barnier directly to debunk any misconceptions that Brexit can be reversed, halted or watered down. I wanted to tell him not to underestimate the iron-will of the British people to see Brexit through to the end. I also wanted Barnier to know that Brexit was not a vote made only by a sliver of people on a particular side of the political spectrum. In fact, John Mills passionately made the point that millions of Labour supporters voted to leave and this wasn’t just a referendum of the ‘right’. In fairness, Mr Barnier has always been consistent in saying ‘Brexit means Brexit’ and Britain will leave the EU in March 2019. The question is what will our future economic relationship look like? So, what did we say? Our message in the meeting was threefold. Firstly, we stressed the importance of securing an all-encompassing free trade deal for the UK and the EU. The second stage of the negotiations, which we are in, should not be about politics, but rather about prosperity. Both sides have a real-life stake in reaching a deal which is positive for everyone. Secondly, we stressed that to protect the jobs of UK and EU citizens alike, we should both encourage and promote trade. This gives us all prosperity and security. A no-deal scenario would hurt European economies more than the UK. It would particularly hurt those EU companies that sell high-end products into the UK who would see huge price increases from tariffs and currency movements. Finally, we emphasised the need for a free-trade agreement that included both goods and services. We said that if any trade deal excluded services, we would encourage the UK to walk away and resort to WTO trade. A trade deal is not a trade deal if all Britain’s businesses aren’t included. But, given some of Barnier’s private responses, it’s now becoming increasingly clear to me that Britain will not succeed in getting a deal which includes services, particularly financial services. All the indicators suggest that the EU is happy to negotiate a Canadian-style agreement on goods, but not services. On financial services in particular, the EU position is becoming increasingly clear: to undertake financial services business in the EU, UK companies must comply with all EU rules, regulatory governance and ECJ oversight. There will be no exceptions. The UK regulator would be required to apply all EU rules to all UK financial companies, even those not doing business in the EU. Our financial services will stay under the yoke of the EU’s oppressive regulations. This patently is an attempt to hamper UK business that would benefit from regulatory divergence. Without any such divergence not only will we have to comply with EU rules whilst not being a member, it will also hinder our ability to negotiate trade deals with non-EU countries. So, after my meeting with Mr Barnier, my advice to our own negotiators is to cement its position on no-deal and be prepared to dig your heals in. After all, David Davis has been clear that Britain is aiming for a trade deal on goods and services. The government needs to be bold. If it concludes the deal offered does not work for the British economy by the summer of 2018 and the EU is unwillingly to compromise, it needs to be bold enough to announce its intention to walk away without a deal in advance of March 2019, to give businesses the certainty they deserve. In the meeting with Mr Barnier, there is no doubt that he’s a tough negotiator and there is no doubt in my mind that he does not underestimate the consequences of a no-deal for European economies. Barnier is gambling with the future prosperity of his people at a time of high unemployment in Southern Europe. As John Longworth emphasised, a no-deal for Britain can be successful, providing the government concludes this is the outcome in advance of March 2019 to allow for necessary preparation time. Whilst it might cause some initial shock, the opportunities far outweigh the consequences. Trade between the UK and the EU won’t stop, but by being fully detached from the EU apparatus, our government regains the freedom to immediately start trading on a free-trade basis with emerging economies again, particularly in Asia. For this, we need to make sure right now that our trade department has the resources and armoury to negotiate bilateral trade deals simultaneously. By reviewing our regulatory regime, increasing investment in research, new ideas and training our people, Britain will start to look like an even more attractive place to do business, while Europe’s share of the global growth declines. Our meeting with Mr Barnier was cordial and clear but the EU gambles at its own peril. No deal will also mean no money. The British public will not lie down quietly whilst we hand over £40 billion, for no trade deal in return. David Davis has committed to this – it would be a u-turn too far. There was no doubt that phase one of the negotiations was about politics, but phase two is completely different. It’s a genuine opportunity to increase and deepen prosperity for both sides. Never before has a trade agreement been negotiated where tariffs begin at zero. I hope both negotiating sides prevent politics from getting in the way and make the most of this colossal opportunity – although, right now, I’m not confident.